Carolina Rodriguez is Miss Costa Rica 2016. This English teacher who hails from San Jose will be proud to wear Costa Rica sash at the upcoming Miss Universe 2016 pageant on January 30, 2017 in the Philippines. Carolina is not new in the glitz of pageantry as she was the first runner up of 2014 Miss Costa Rica. The last time Costa Rica placed in Miss Universe was in 2013 through Fabiana Granados, one of the Top 16 semifinalists. The country has never won Miss Universe crown. See you in the Philippines Carolina! 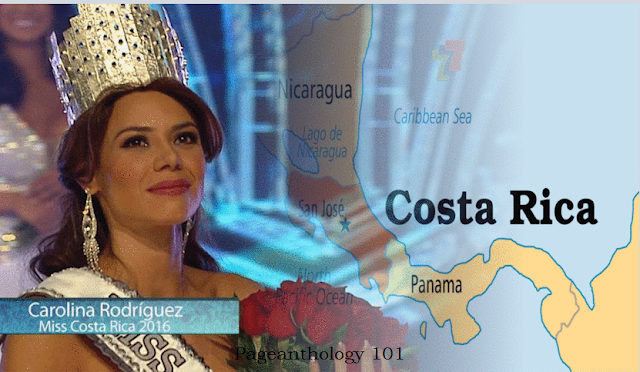 ALSO READ : New Miss Costa Rica Crown Stirs Criticism Online!